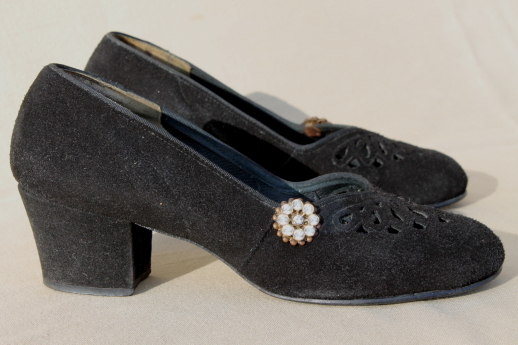 1940s vintage Exquisites label suede heels, with chunky round toe shape. 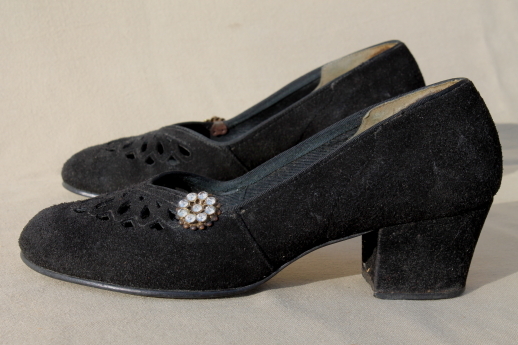 Very pretty, very wearable, these just seem made for dancing! 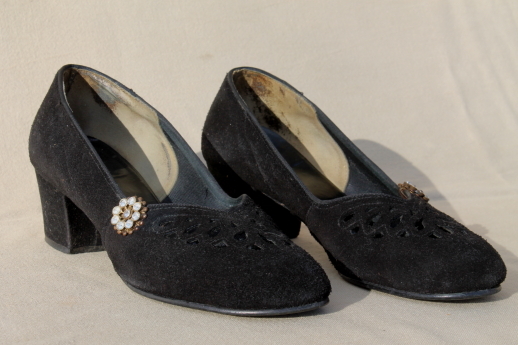 These are black leather with diamond rhinestone accents. 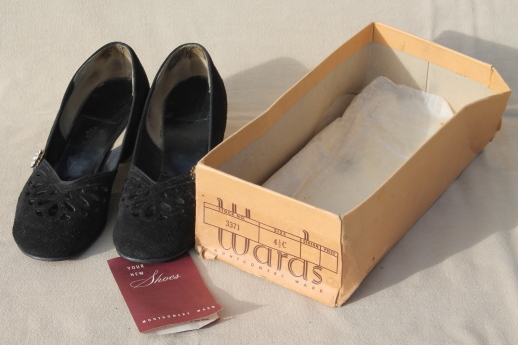 We haven&apos;t been able to find a size marked on the shoes, though the box is marked a 4 1/2 C. The shoes measure 9" long overall, 8" over the foot bed. 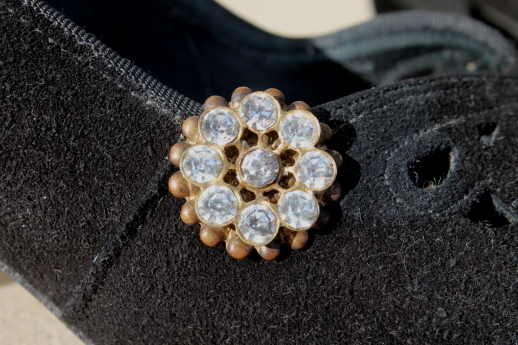 They&apos;re 2 3/4" across the ball of the foot area. 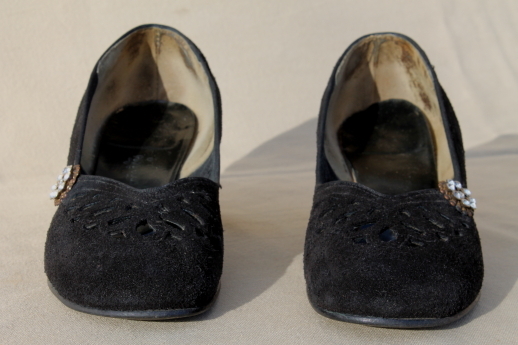 These are used shoes, still in very worn box with paper insert. 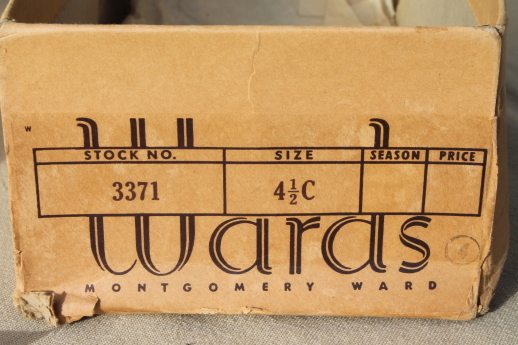 (No lid on the box.) 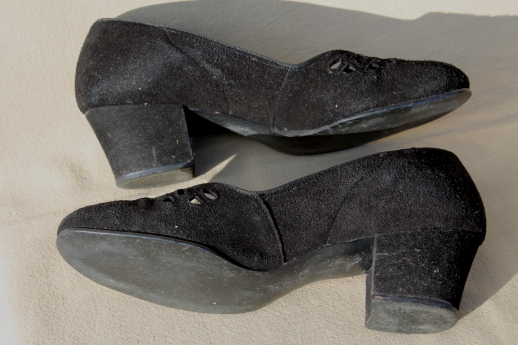 The shoes themselves look good, though nothing like perfect. 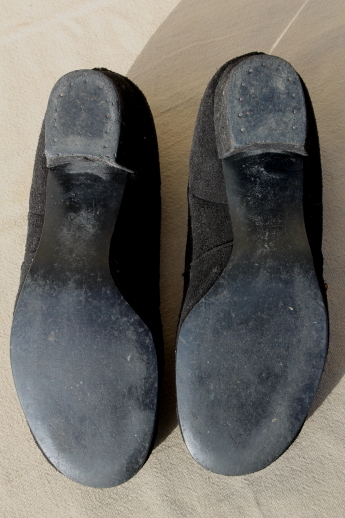 The soles show wear though they&apos;re not worn out of shape. 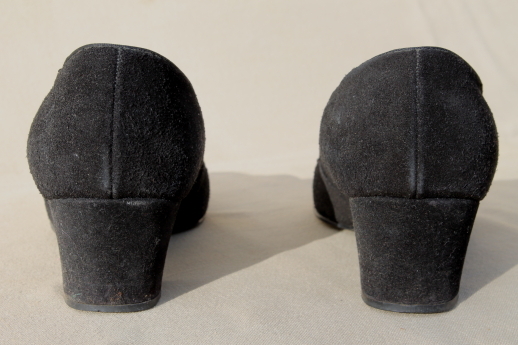 The insides and outsides of the shoes have the expected wear and some light soil.